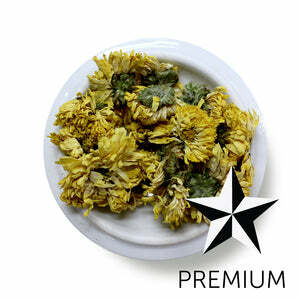 These bright yellow Chrysanthemum buds are bursting with fresh flavor. Their flavor is unique, and can't be easily described. There's a spicy freshness that doesn't seem floral at all, and has earthy undertones. It's very clean and punchy. We've paired it with this month's adventurer box, so you can experiment with blending your own classic Chrysanthemum Pu'erh! Sprinkle in some buds in the later steepings of the Imperial Shou 2009 to brighten up the cup, and give you more steeps from the later resteeps. 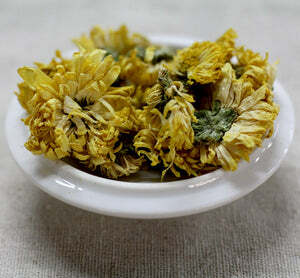 These buds stand on their own too, and produce an invigorating, and delicious steep full of health benefits. Mug (8oz water): 6 level tsp • 205º • Steep for 4 min.